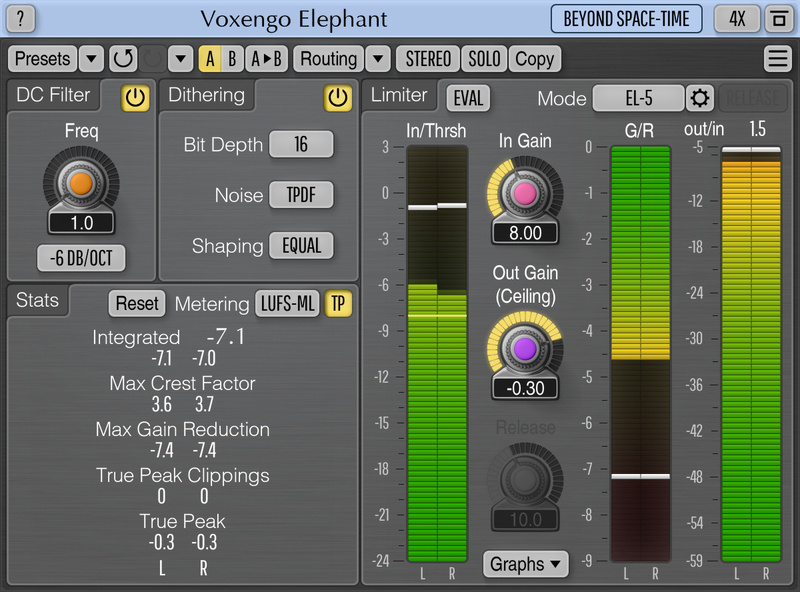 Voxengo Elephant is a mastering limiter AAX, AU and VST plugin for professional music production applications. The most remarkable feature of this signal limiter is its sonic transparency. 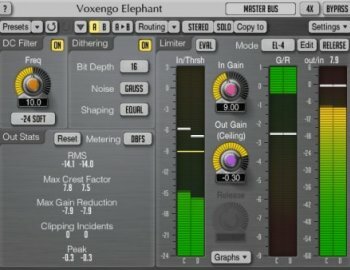 Elephant brings sound limiting and loudness maximization without audible "fuzz" and “pumping” sonic artifacts.